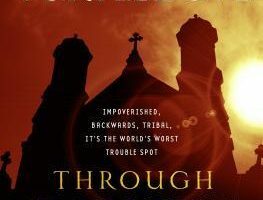 In Cloudbound, with the Towers in disarray, without a governing body or any defense against the dangers lurking in the clouds, daily life is full of terror and strife. Naton, Kirit’s wing-brother, sets out to be a hero in his own way—sitting on the new Council to cast votes protecting Tower-born, and exploring lower tiers to find materials to repair the struggling City. 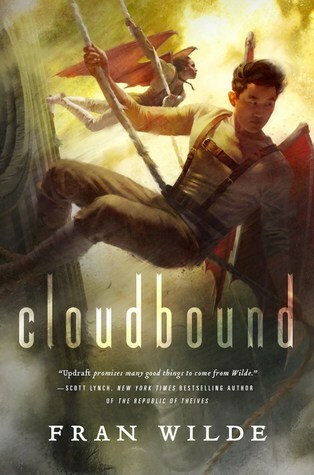 Cloudbound (Bone Universe#2) by Fran Wilde is by far one of the best sequels I’ve had the pleasure to read. It took me a few weeks to get the time to read it, but once I started I made the mistake of thinking I could start it, get an hour of sleep before bed and then finish it the next day. Apparently, I didn’t learn my lesson when I did that with Updraft and found myself unable to put it down till nearly 6 AM. It was an exhausting day the next day, but it was well worth the lack of sleep. While I enjoyed almost everything about Cloudbound, I would have to say that two aspects of it really stood out the most for me. 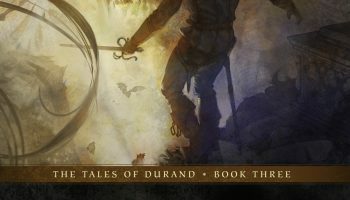 First was the worldbuilding — Fran Wilde is an amazing author and I don’t think there are very many other people who could create such a bizarre world where people reside in Spires of growing and living bone, populate it with creatures both dangerous and adorable and still have it be so believable. 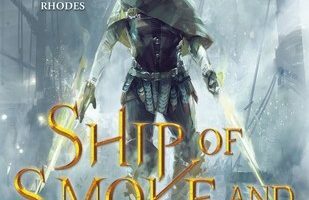 I would personally say her worldbuilding skills are on par with the likes of Brandon Sanderson and Patrick Rothfuss, and Cloudbound does an amazing job of showcasing that. Second would be the story itself, Cloudbound goes much deeper into the history of the City and the Spires than Updraft did. My main complaint about Updraft would be that you really didn’t get all that much information on the history of the city and it left me with way too many questions. Mainly, why does civilization live in the sky, and when the city rumbles, why do they think throwing people over the edge will stop it? Cloudbound does a fantastic job of answering almost every question I had, while at the same time leaving me with a set of new ones unanswered. One would almost think Fran Wilde does this on purpose to keep us all wondering and reading her books. It’s diabolical. My main complaint about the book is one that probably shouldn’t affect the score I give it, and that would be the POV change fro Kirit to Naton. I really wasn’t expecting the change and was confused for the first few chapters until I figured out what had happened and figured out who’s head I was in. I really enjoyed seeing the world and getting the story through Kirit’s eyes, and while I liked Nat, I didn’t find him quite as engaging or fun to read as Kirit. He takes himself a little bit too seriously for my liking. Updraft was one of those books that once I read it I was suggesting it to everyone I came across who was looking for something to read and I’m already doing the same with Cloudbound. The only difference is that you definitely have to read Updraft first otherwise you will be completely lost. 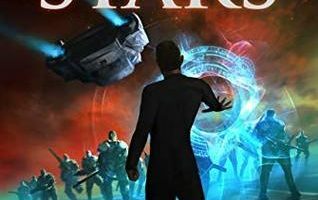 I myself was slightly lost until I reread Updraft to refresh my memory on the story, but that is OK. Updraft is an amazing book in its own right.